When you need an instant storage solution, what is the first thing you do? Probably head to your local department store and go straight to the section with plastic storage bins and drawers. 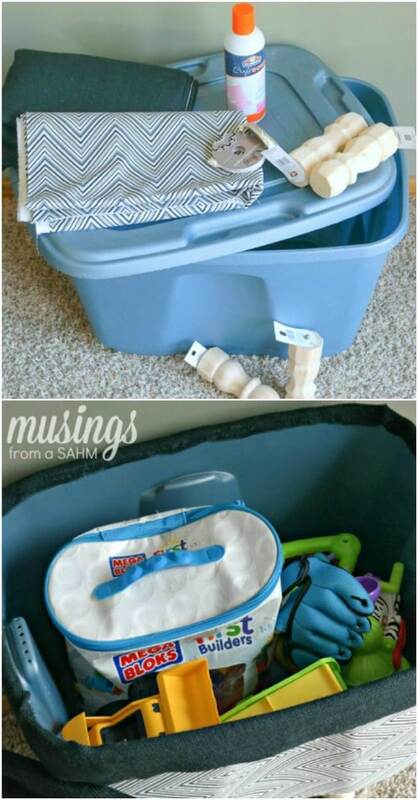 Plastic organizing containers are cheap, rugged, versatile, and easily repurposed. They are great for bedrooms, dorm rooms, bathrooms, kitchens, garages, craft rooms, and pretty much every other area of the house. But one thing they are not great for is beautifying your home. There is nothing attractive about a utilitarian plastic bin. In fact, a set of plastic bins or drawers can be an eyesore in the middle of an otherwise gorgeous room. But did you know there are a lot of ways you can modify plastic bins? In fact, plastic totes are amazingly customizable. With the right materials and a DIY mindset, you can transform them so that they blend in perfectly with the décor and ambiance of your home. This is actually a great way to decorate your house for less—all while getting more organized. 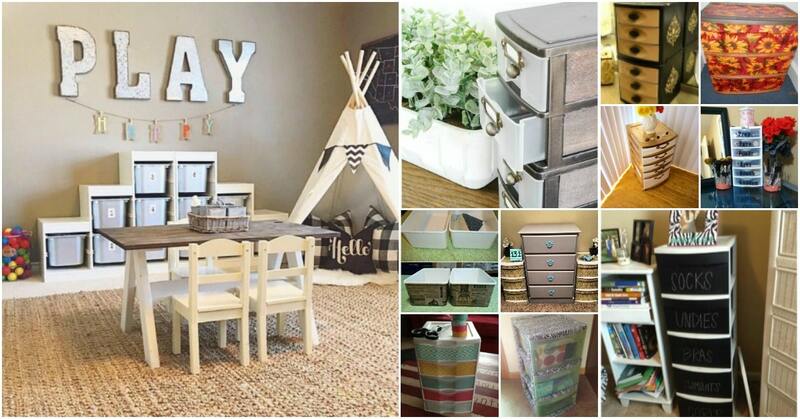 Let’s check out 60 beautiful plastic bin and drawer decorating ideas which are sure to inspire you! 1. 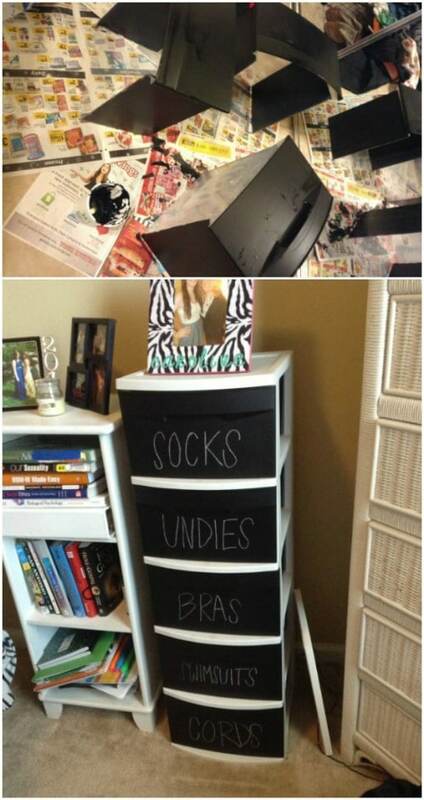 Disguise your plastic bins as a real set of drawers. 2. 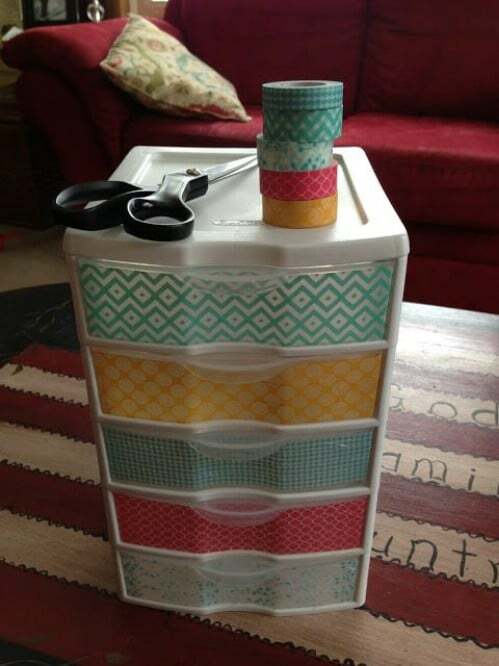 Decorate your bins with washi tape. 3. Use a stencil to create an elegant look. 4. 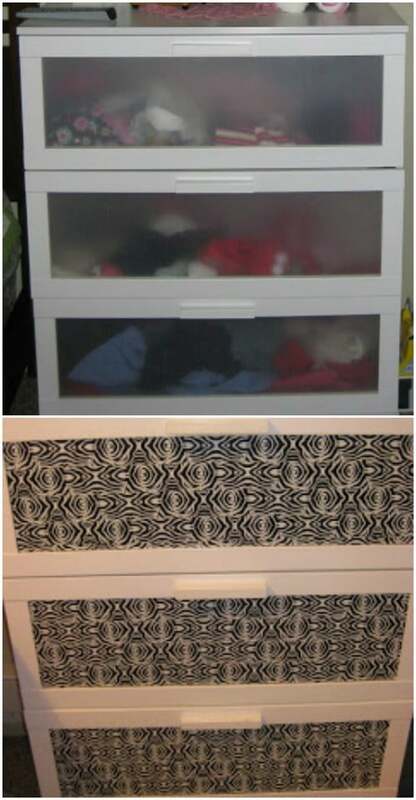 Here is how to give your set of plastic drawers a mini-facelift. 5. 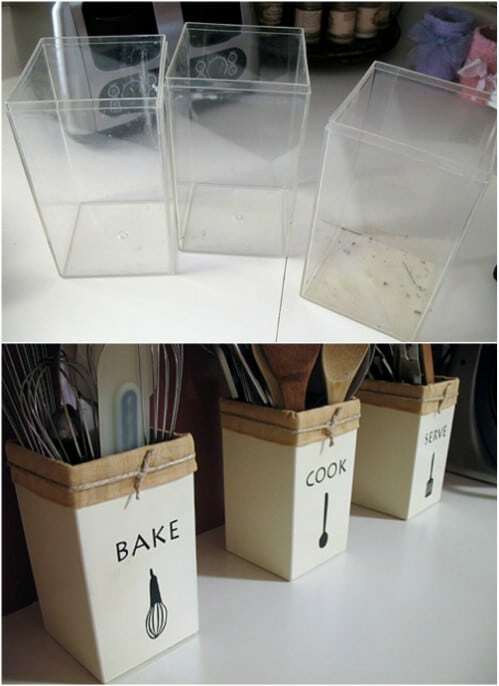 Turn your plastic bins into adorable utensil holders for the kitchen with a free printable. 6. 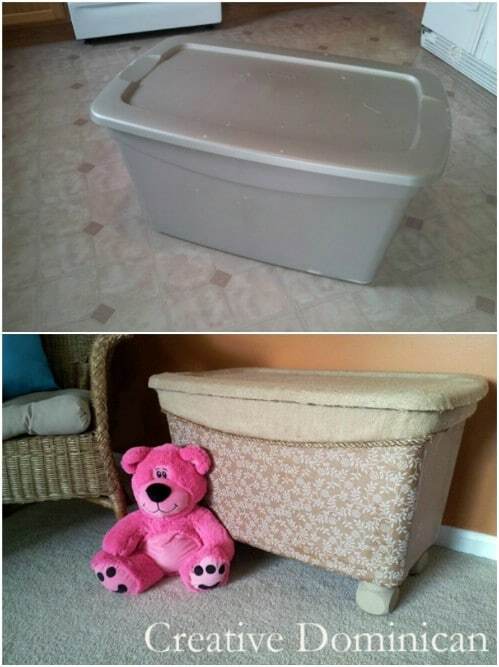 Turn an ordinary plastic bin into a cute toy box. 7. 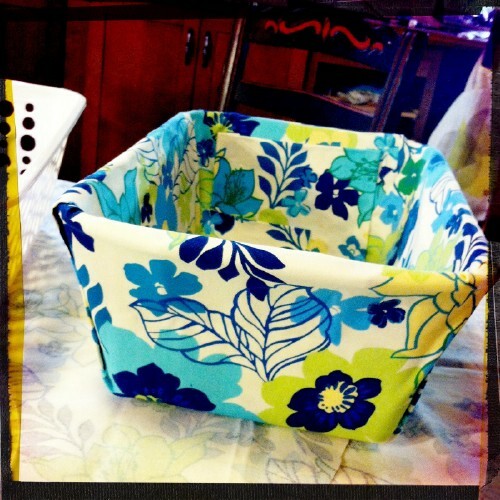 Here is another way you can transform your plastic bins using fabric. 8. Decorate your plastic containers using duct tape. 9. Make use of your scrapbooking materials and other fun supplies. 10. Inverted colors make for a beautiful redesign. 11. Express your personality with fun patterns. 12. Stamp your bins with metal labels. 13. Personalize a plastic bin with a cute picture and a name. 14. Here is one of the most complete, amazing plastic bin transformations you will ever see. 15. Sometimes a simple set of labels can really make your bins look attractive. 16. Use spray paint to make it look like your plastic bins are made out of metal. 17. 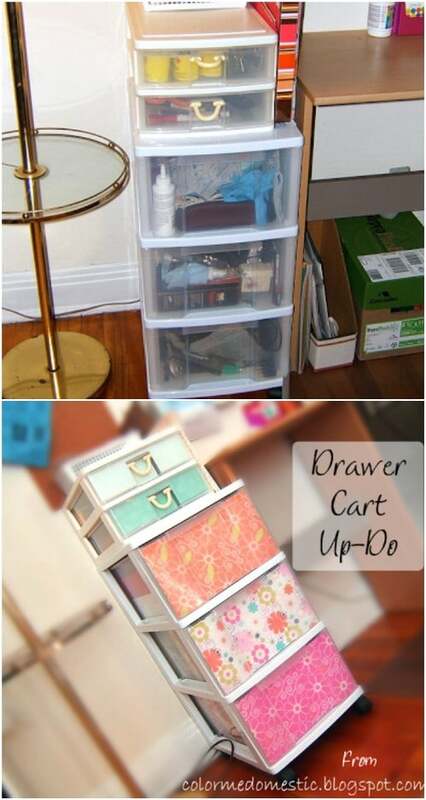 Use scrapbook paper to turn your boring plastic bins into bright, vibrant, beautiful storage solutions. 18. Create a slip-cover for your plastic bin drawers. 19. Create a coordinated set by using the same design elements across bins. 20. 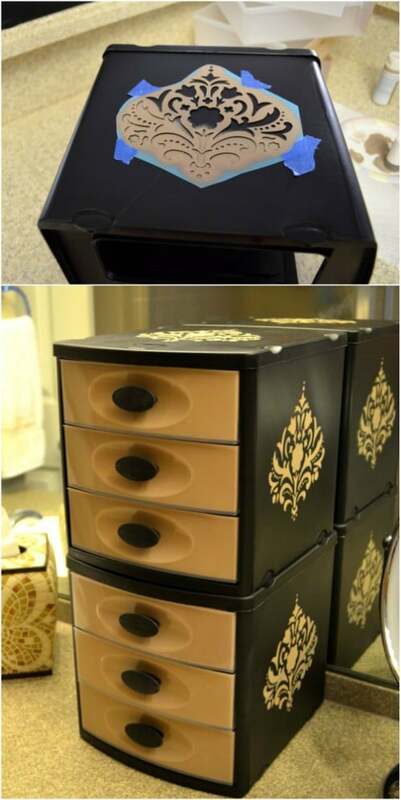 Here is a set of plastic bin drawers with a vintage look. 21. This cheery sunflower makeover is just stunning. 22. Go with bold contrasts for an eye-catching design. 23. Tone down some obnoxiously bright bins. 24. Simple, bold contrasts can totally work. 25. 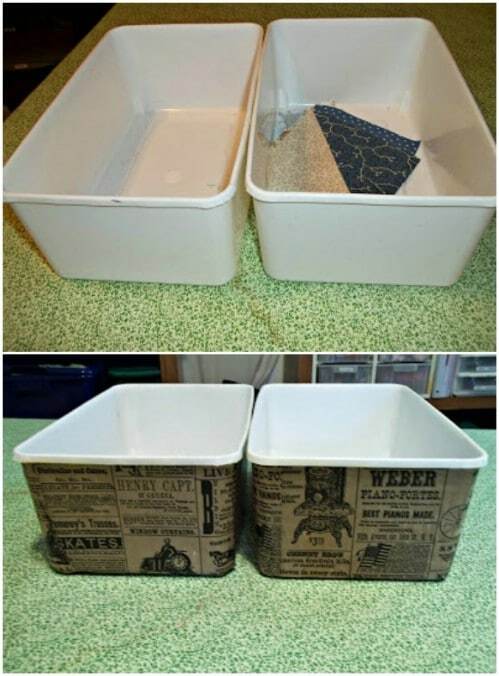 Decoupage your bins using an old paper bag. 26. Add functionality to your bins with a pegboard. 27. 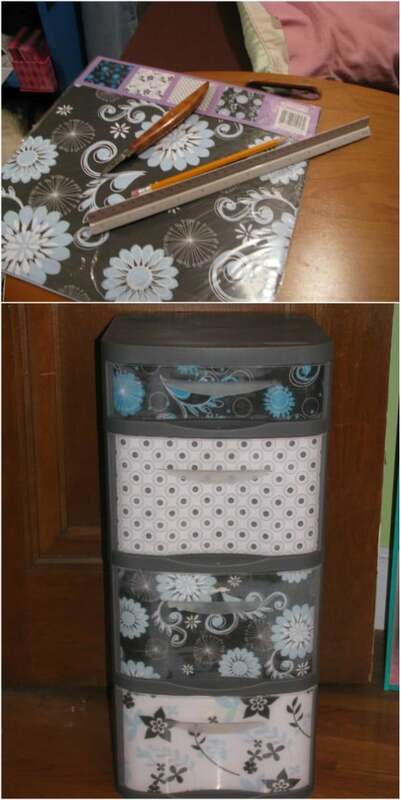 Here is another beautiful plastic bin makeover which uses duct tape. 28. This stylish bin makeover makes great use of color and contrast. 29. Decorate the framework for a set of plastic bin drawers, rather than the bins. 30. Make unbelievably gorgeous designs with sharpie markers. 31. 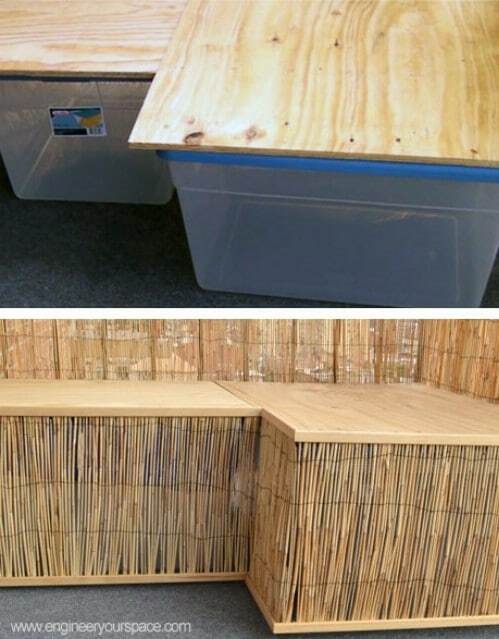 Turn plastic bins into furniture. 32. Sometimes how you display your bins makes all the difference in the world. 33. Cover your plastic bins in fabric. 34. 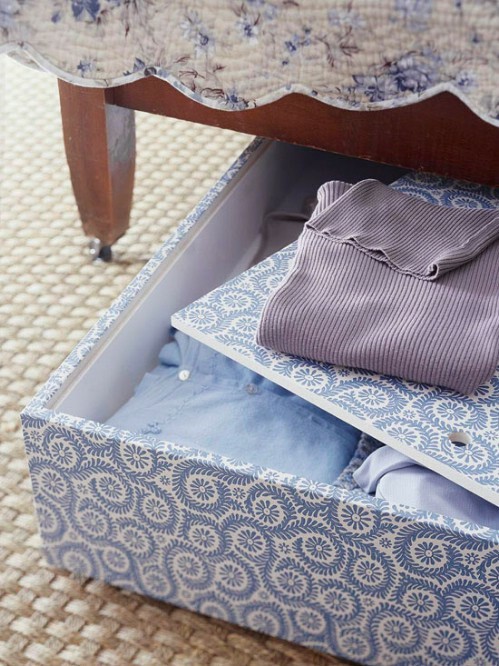 Turn plastic bin drawers into industrial farmhouse drawers. 35. Clear signage has a cute and fun effect. 36. Try the same idea with chalkboard paint. 37. 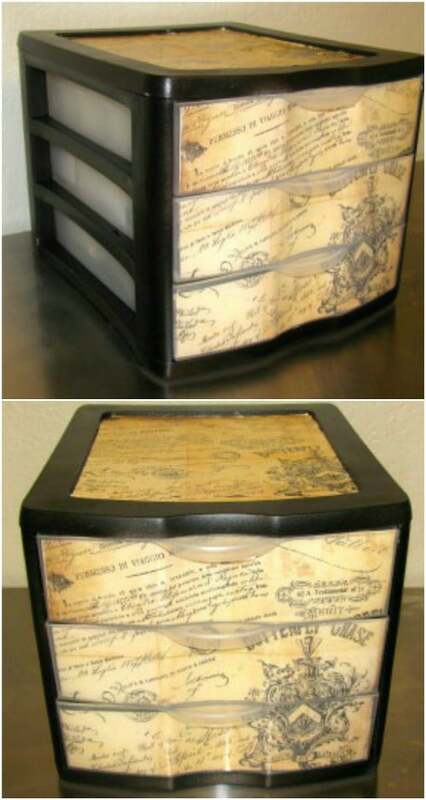 Attach decorative embellishments onto your drawers. 38. 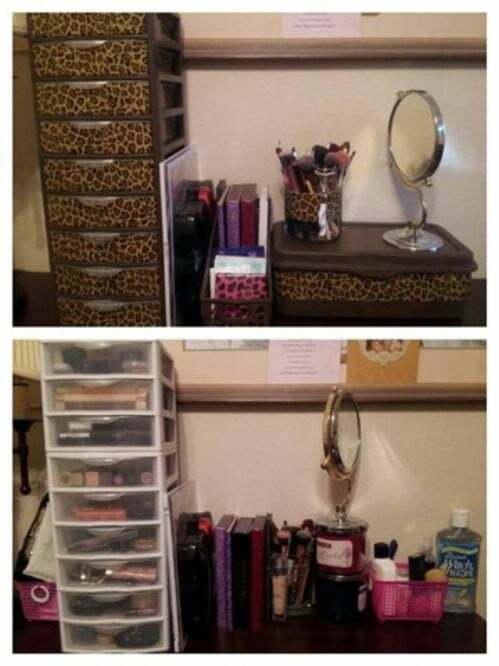 Here is a quick and easy makeover project for your boring set of plastic bins. 39. Make use of bold contrasts and simple colors schemes to grab the eye. 40. Bright rainbow colors add some whimsy to any set of plastic drawers. 41. 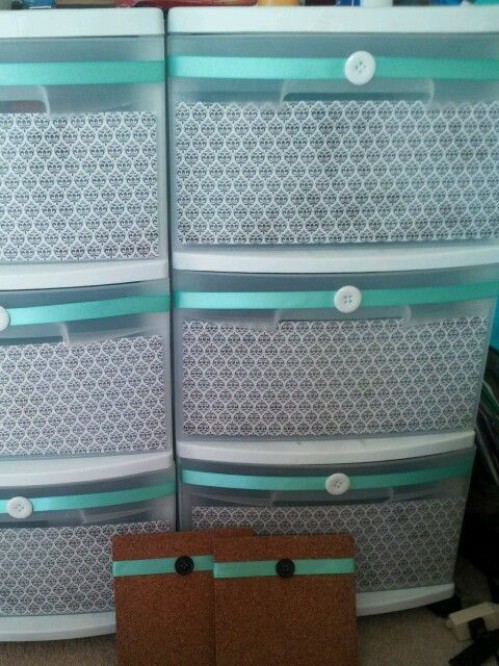 These plastic bin drawers with scrapbook paper have a softer look. 42. Use plastic animals as drawer pulls. 43. These plastic bin drawers are part of an adorable play kitchen. 44. Decorate the sides with ceiling tins. 45. 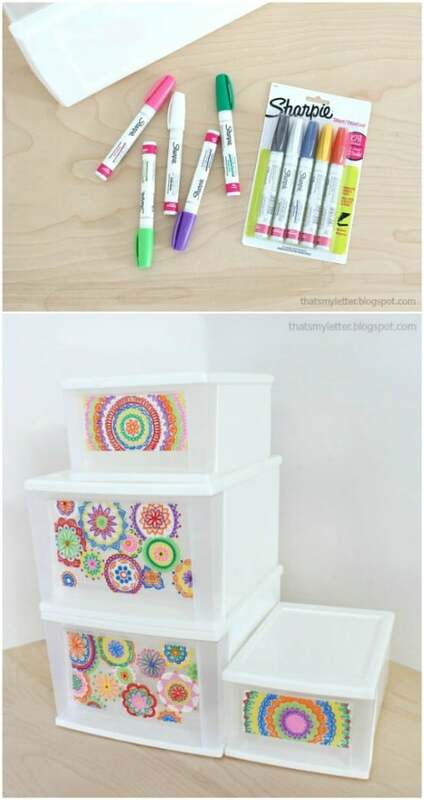 Decorate plastic bins with colorful dots for a bold effect. 46. Colorful bins make for colorful seats. 47. These drawers give the clever impression of a screen. 48. Make a plastic bin look like a woven basket. 49. Make your bins sparkle—literally! 50. Try using wallpaper and a paint pen. 51. A simple stencil and cute lettering go a long way. 52. Apply fabric to a plastic container. 53. Cover a storage container in wallpaper. 54. Sometimes you just need to go all-out colorful. 55. Simple geometric patterns look awesome. 56. 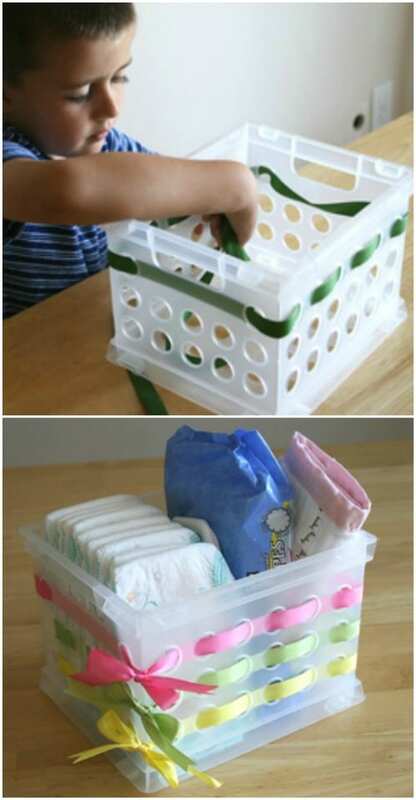 Make a set of bin drawers fun for kids. 57. 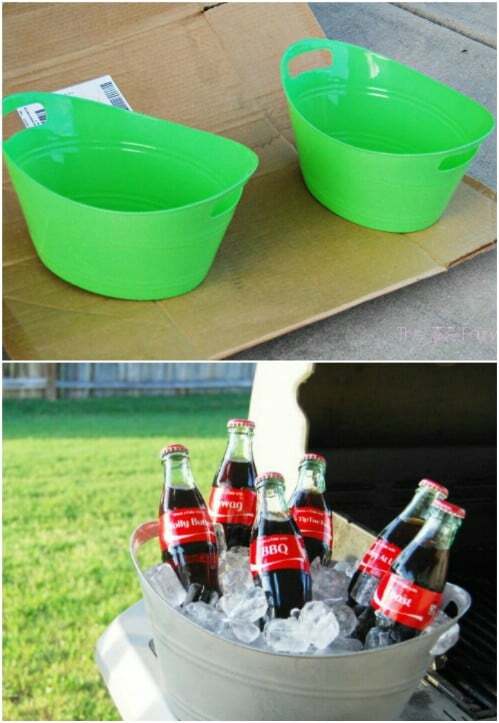 Here is a surprising idea for using plastic bins as décor. 58. Here is another cool look with duct tape. 59. Here is yet another way you can decorate a plastic container by weaving fabric or ribbon. 60. Learn the pros and cons of mod podge vs. tape. This set of plastic bin drawers with spray-painted, and the knobs were glued on. This effectively disguises them so that they look almost like a traditional set of wooden drawers. You can of course see the distinctive shape of the plastic bins, but the illusion at a glance is quite amazing. Washi tape is truly beautiful, remarkable stuff. It comes in so many gorgeous patterns and colors, and you can use it to quickly and easily decorate so many different surfaces, including your clear plastic bins. These washi-tape decorated bins have a bright, cheerful look. These started out as your boring, run-of-the-mill store-bought plastic bins. It is hard to believe that now, isn’t it? The key to decorating these plastic containers and making them look fantastic was the use of an ornate stencil. This stencil made it possible to create a complex design on the tops and sides of the containers. Now they look like something fit for royalty. Check out the source link below to find out how it was done. At the source link below, you can watch step-by-step as a set of ordinary plastic bins transforms into something beautiful! Here is one which knocks my socks off. These do not look like they started out as simple clear plastic boxes, but they did. Visit the source link and you can find out exactly how you can make your own cute rustic utensil holders out of plastic boxes—and you can download a free printable to help you out! Take a look at this toy box! You would think that it was store-bought just as it is now, wouldn’t you? But it was once upon a time a boring plastic tub. But then clever DIYer Erika got hold of it and transformed it into something truly incredible with the help of some fabric and her creative imagination. Click on the source link for a tutorial and complete materials list. 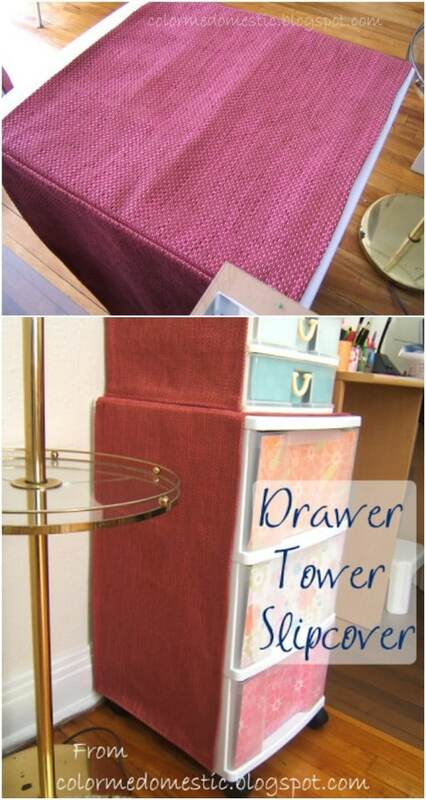 This is the same basic idea as the one above, except that a different fabric was used, and there are some handles along the side—very useful if you are going to stow the bins underneath something (such as a couch) and need to be able to easily pull them out. You can also click through to the tutorial for a different set of instructions. 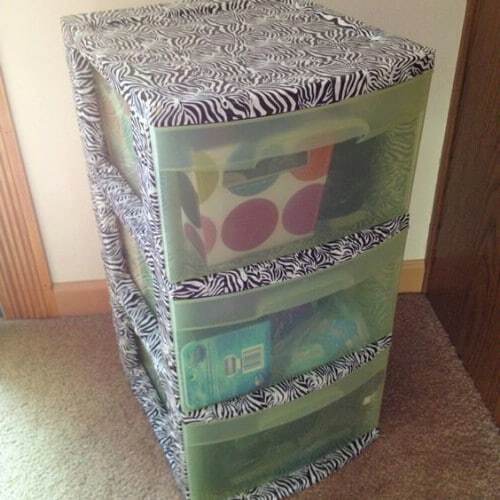 Here, we have the great idea of decorating your plastic bins using duct tape. This is the same idea as using the washi tape. But you end up with a different look. Washi tape tends to feature softer colors and designs, whereas duct tape tends to feature bold fluorescent hues and patterns. The person who decorated this set of plastic bins used a combination of supplies, including mod podge, scrapbooking paper, ribbons, and buttons. 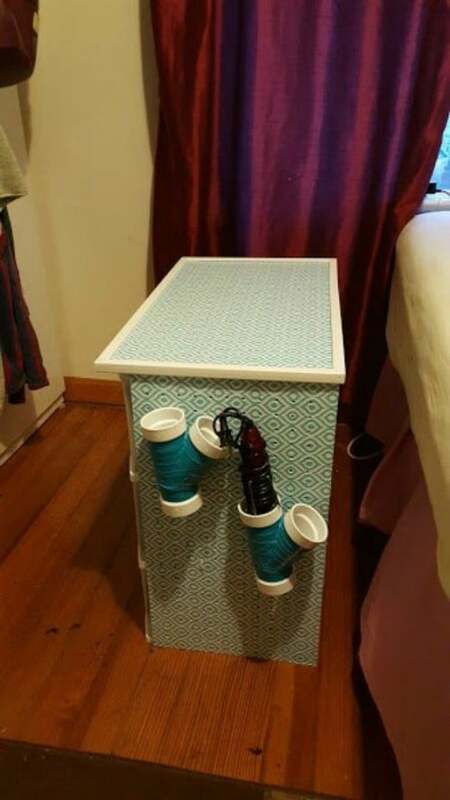 This project not only looks great, but serves to remind us that there are always unique and surprising ways to repurpose supplies for a variety of crafts. These bins were decorated using blue spray paint, with the aid of a stencil. What I like most about this design is the inverted colors. This creates a contrast which emphasizes the design in both places that it appears. The leopard pattern duct tape here is ridiculously fun! Along with black spray paint and brown fabric, it does a lot to express the personality and style of the crafter. Here is another amazing idea. Just add metal stamps to your bins to label them, and you instantly add some style and class. Have plastic bins in a child’s room? 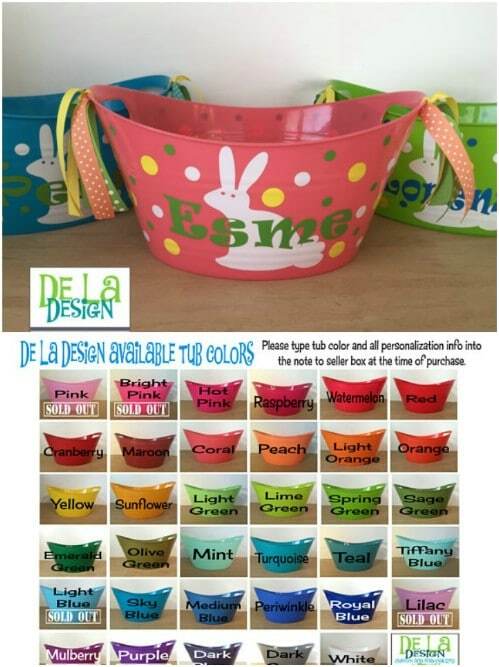 One idea for decorating plastic tubs or bins for children is to personalize them using their favorite colors along with cute pictures (perhaps a favorite animal) and their names. If you have more than one child, this may also help kids to keep their toys in their own bins, reducing sibling squabbles and messes on the floor. It is hard to believe, but the materials for this project were just wrapping paper, burlap and mod podge along with hot glue, lock nuts, and some other basic supplies. If you click on the link, you can find out exactly how you can do the same thing to turn your bins into something beautiful. You do not always need something really elaborate to make your plastic bins more appealing to the eye. Sometimes something as simple as a set of matching labels with a little extra style is all you need to give your bins the flair you are looking for. This is pretty self-explanatory. At a glance, this really does look convincingly like a tub made out of galvanized metal, but in reality it is just spray painted plastic. This is one of the fastest and easiest ways to totally transform the look of plastic. 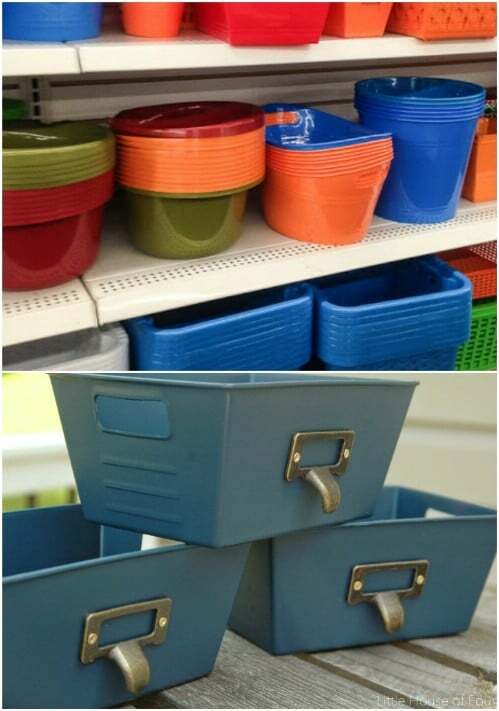 The cheery colors and design are what make these plastic storage containers look so incredible. Visit the blog to find out how it was done! It’s a really easy project! This is a continuation of the plastic bin decorating project above. The addition of a fabric slip-cover completes the look. 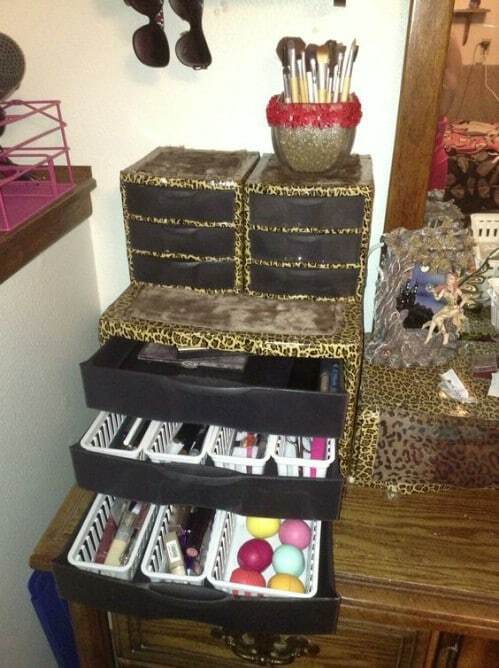 Visit the source link to find out how you can do this with your own set of plastic bin drawers. Here we have more leopard print tape decorating a set of plastic bins. But here is what I want you to observe about this particular setup. Notice how the large brown bin with the mirror on top and the set of drawers probably were not part of the same set of bins originally—but now they are completely coordinated. The leopard print is also repeated in couple of other elements, making everything look like it was originally part of a set. Very smart! The vintage look of these plastic bin drawers was created by using vintage-style scrapbooking paper. Another element to this decorating job that I like is the fact that the pattern is continuous between the drawers. Look how bright and colorful this set of plastic bin drawers is. In fact, this crafter did such a spectacular job that you don’t even notice right away that this is a set of plastic bins. It looks more like a beautifully painted cabinet. Not a lot of crafters would have thought to combine that light baby blue color with that hard industrial gray. The two don’t see immediately like they belong together—but that surprising contrast is exactly what makes this bin makeover so appealing. There is a place for bright fluorescent colors, but they certainly do not fit in with every style of décor. The bins you see below started out as shiny bins with a bright pink-red hue. They are significantly toned down now and are all the better for it. These plastic bins have been painted green, with the framework for the drawer set still in white. You really could not go with a simpler makeover idea, and yet the contrast between the white and the green is stunning. This looks like old newspaper, but it actually was a paper bag that was decorated to look like such. 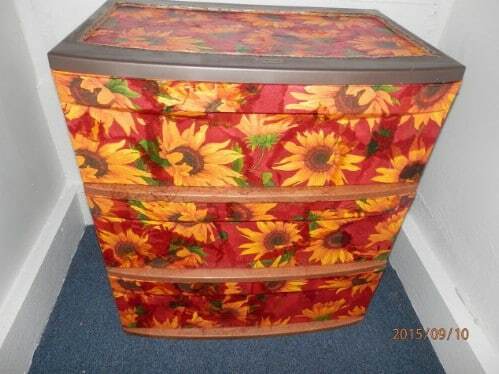 With decoupage, you can literally decorate anything, and that includes plastic bins. So this was a perfect project to make use of the cute paper bag! You can see that some scrapbooking paper has already transformed the appearance of these bins beautifully. But the crafter went a step further and made them more functional by incorporating a pegboard. This is a smart idea if you are low on space. 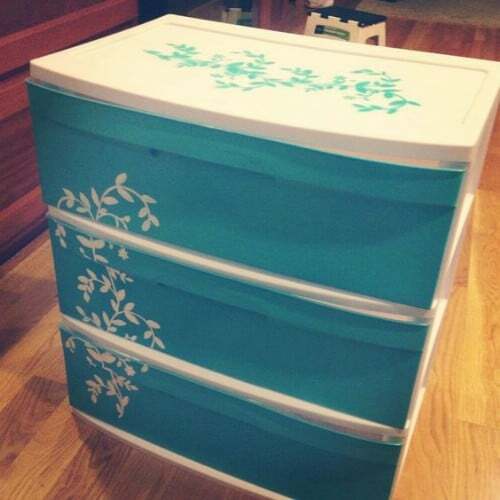 The designs on the duct tape used on this set of bin drawers are stunning—and they make the plastic bins stunning too! I love how the black and white zebra stripes are monochromatic, but there are little pops of color both in the design of the paper (the little hearts) and the pink sparkly buttons which have been attached to the bins. What a cool look! Here is an inversion of the usual method for decorating plastic bin drawers. Rather than decorating the bins themselves, this DIYer tackled the framework. The result looks ridiculously cool, especially if you still want to be able to see what’s inside the drawers! All the ideas included in this list are great, but now and again I come across one which is just mind-blowingly cool. Believe it or not, these fancy, colorful designs were hand-drawn using nothing more than ordinary sharpie markers. 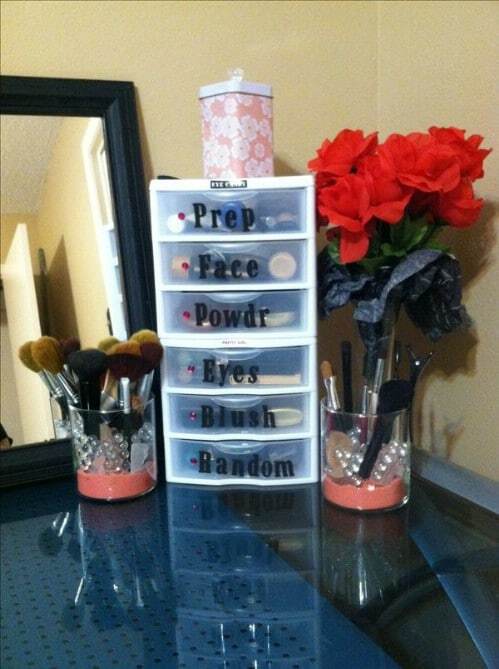 This would be an easy and versatile way to customize any plastic bin! I have no idea how sturdy these benches would be, but the idea of transforming plastic bins into usable furniture like this is quite cool. They look awesome, and if you needed to, you could use them for long-term storage of stuff you don’t need to get at all that often. I can’t tell from this image whether these are metal bins or plastic bins which have been coated with metallic spray paint, but the way they are displayed is what makes this entire space look incredible. Sometimes that is all you have to do to improve the appearance of your bins! Here is another project for covering a plastic bin in fabric. There are a whole bunch of step-by-step photos and instructions as well as extra tips in the post for making it work, so check it out. Be impressed with these … they look absolutely gorgeous! Even though I can clearly see the plastic, the wood and metallic elements are enough to make these drawers look sturdy and classy. There is a full tutorial at the link. 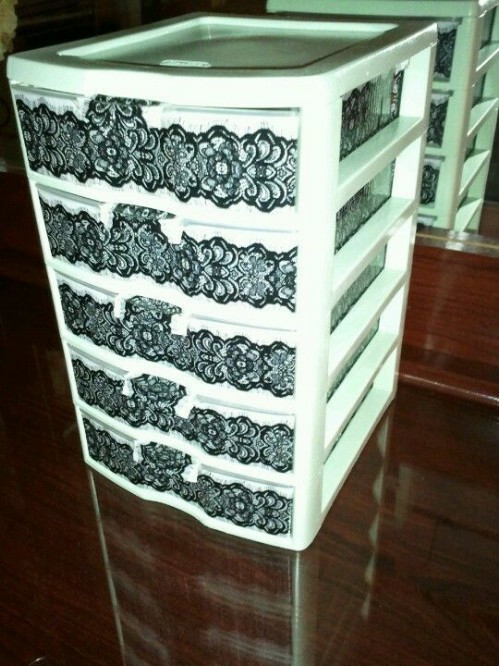 You certainly could never forget where anything is in this set of plastic makeup drawers! 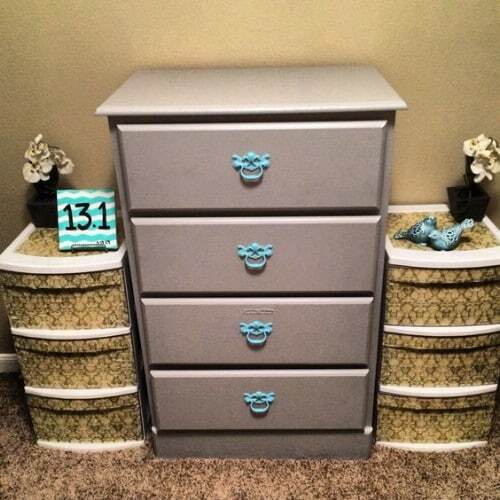 These drawers are similar to the ones above, except that chalkboard paint has been applied. This makes the drawers easy to label, plus it ensures that they are opaque. You might want that in some situations, as for example when it comes to storing your undies. These plastic drawers have been enhanced with the addition of cute decorative flowers. This would be a fast and easy plastic bin transformation, but the effect it has is amazing. For this project, you can transform your plastic bins using some shelf liner. 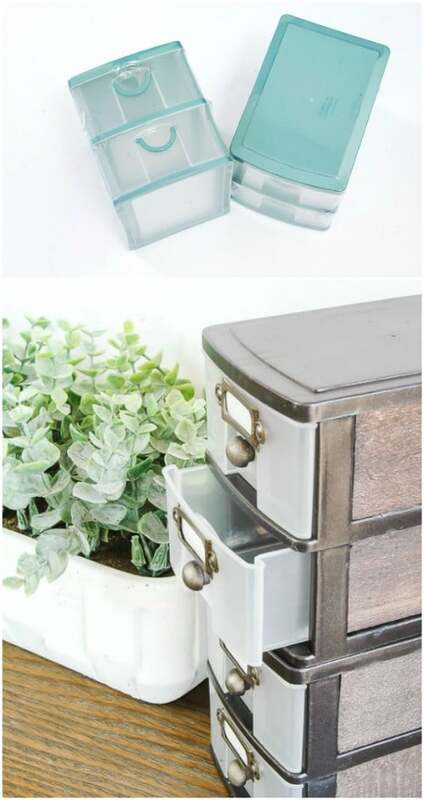 According to the blogger who posted this beautiful set of plastic bin drawers, the entire project took only about half an hour. The shelf liner itself cost less than a dollar, so this approach is as thrifty as it is easy! These bins look totally awesome! The dark grays really make the bright pink embellishments stand out. 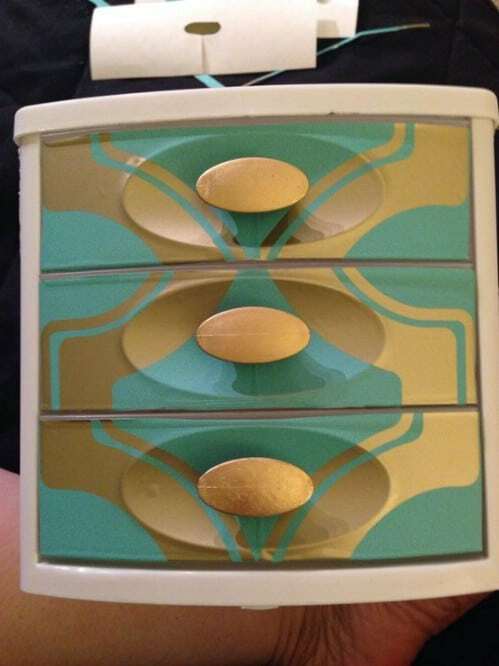 Notice how these same colors and patterns have been used for the small containers holding the makeup brushes. The designs used on the bins are also similar to the designs on the chair and even the ornate frame of the mirror. 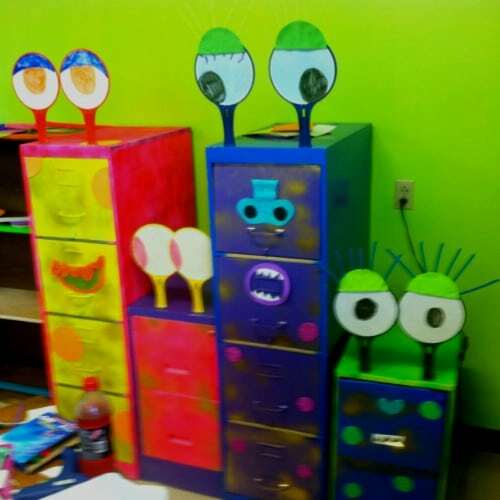 Here we see a beautiful set of upgraded plastic drawers from a creative kindergarten teacher. You can see how these would fit in well in any classroom. But they would look great at home too, perhaps in a child’s bedroom. If you want something colorful, but prefer a subtler, softer look for your drawers, you can draw some wonderful inspiration from these plastic drawers which have been decorated with scrapbook paper featuring images of flowers and butterflies. 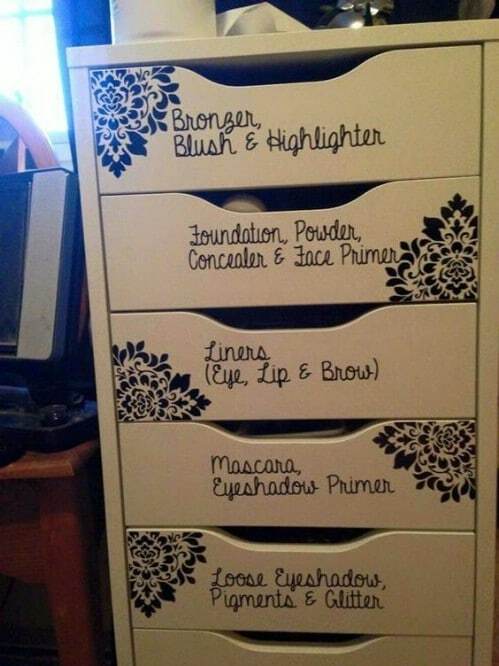 This isn’t a set of plastic drawers, but you could use the exact same idea with plastic drawers. The animals are actually plastic too, even though they look like fancy metallic figurines. They’ve simply been spray painted to look that way. The finished effect is surprisingly polished. At a glance, it is obvious this is not a real kitchen—it is a play kitchen for a child’s room, thus the small stature of the oven and sink. What I love about these plastic drawers is the way that they have been decorated with the same soft pastel hues that you see in the kitchen set and the walls. Everything is perfectly and seamlessly integrated. It is so cute! This is not a set of plastic bin drawers, but the idea that was used to decorate these drawers could be translated to plastic bins just as easily. The elegant molding you see along the side of this set of drawers was actually a ceiling tin. The finished effect looks incredible, but it was quite easy to achieve! 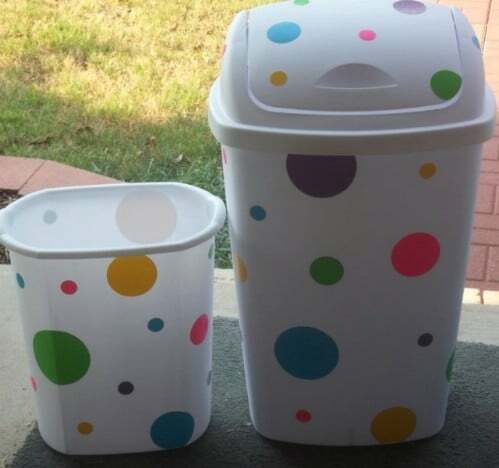 These plastic trash bins have been decorated with brightly colored dots. There is no information on what these dots are—whether they are decals or pieces of colored paper or what. Regardless, they’re awesome! 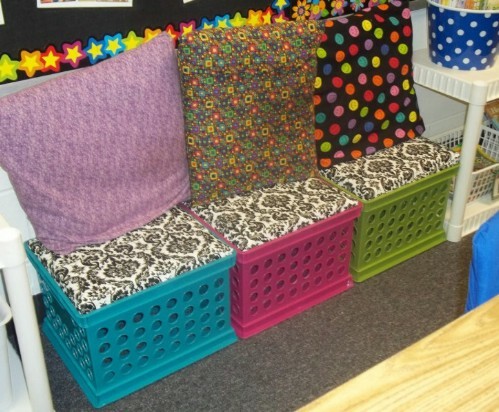 These colorful bins have been turned into seats for children in a classroom. 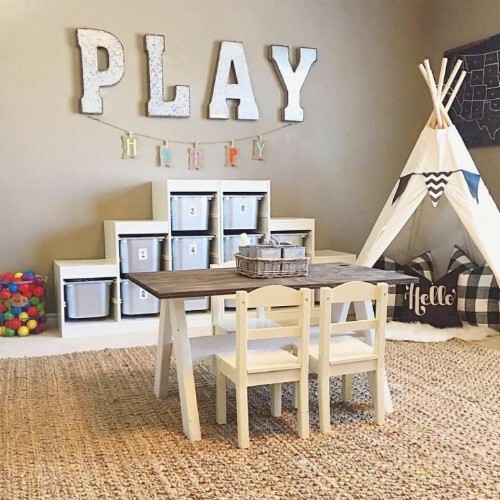 I am guessing these would not be sufficient to support the weight of adults, but you could use this idea to decorate a child’s bedroom or play area. The bins could double as toy storage. Doesn’t it look like these drawers have some kind of mesh installed in the front? They actually don’t—that is just the pattern of small dots on paper. But it does create a mesh-like effect, which makes for a cool texture from a distance. 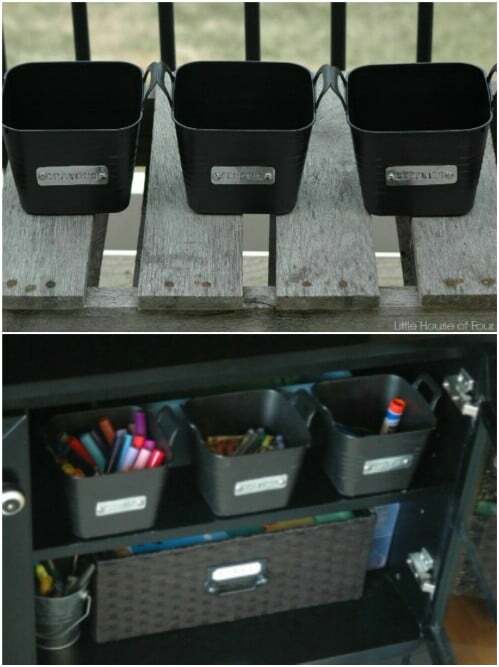 Here is a clever idea for transforming a plastic bin with slots in it. 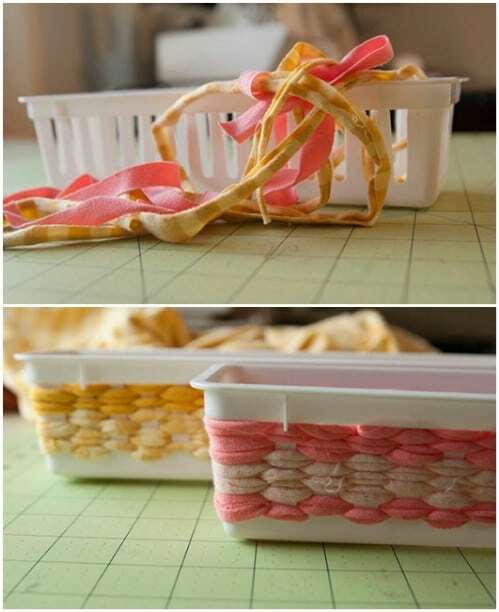 Cut some strips of colorful fabric, and then simply weave them around the sides of the bin through the slots so that you get the look of a basket. You end up with the pattern visible inside the bins as well. Check out the link for more info. I have already shared some bins with shiny metallic paint on them, but here is another look which is just a little bit different. 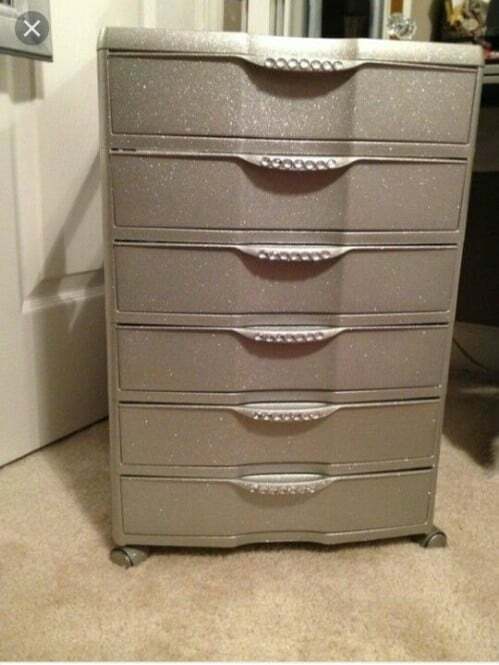 These bins have a metallic finish on them as well, but it is a sparkly one instead. These plastic bin drawers are quite impressive—I had to stare at them a while to be certain they really were plastic! While the description isn’t all that clear, I believe that the person who decorated these used the gold paint pen on the drawer pulls. 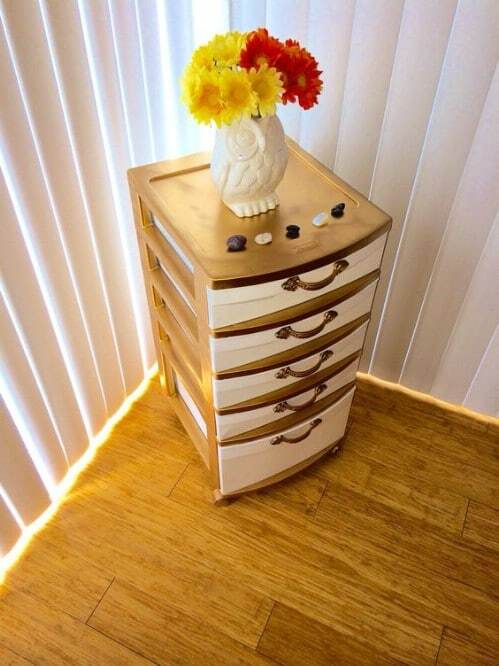 This is a set of wooden drawers, but the creative soul who decorated them advised using the same idea on plastic drawers and other types of storage containers. The stencils and the lettering are very simple, but together, they create a beautiful look! This is a plastic waste paper bin, but it looks amazing, doesn’t it? 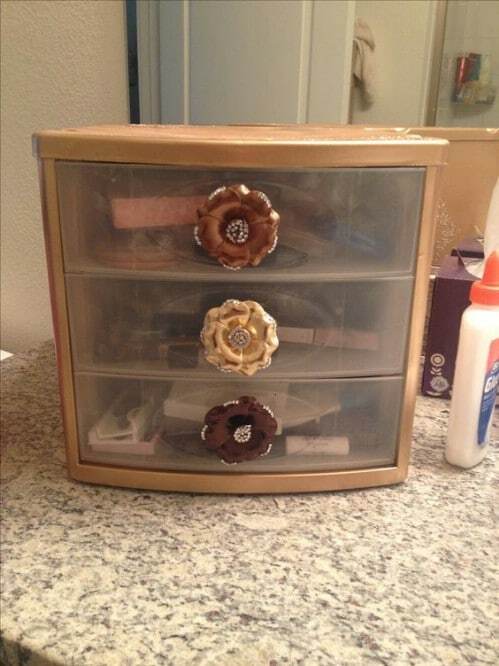 You could use this same idea to decorate any plastic bin or set of plastic drawers. Here we have a simple idea for covering a storage container in wallpaper. I think this may be a cardboard box, but the same idea used on plastic would work just as well and end up looking just as beautiful. 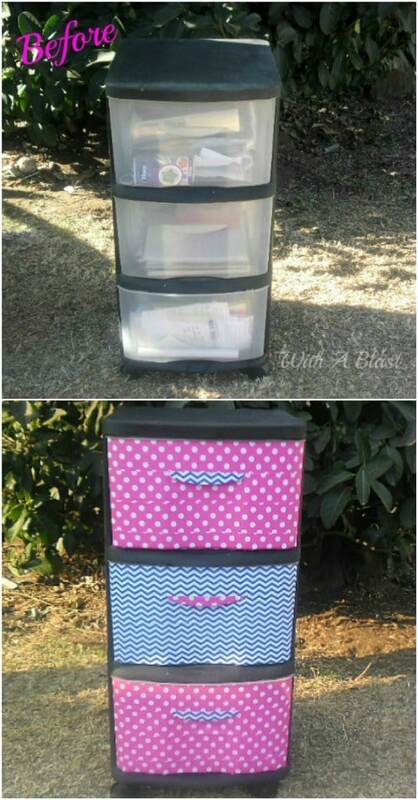 Here is a set of plastic drawers which have been spruced up using washi tape. 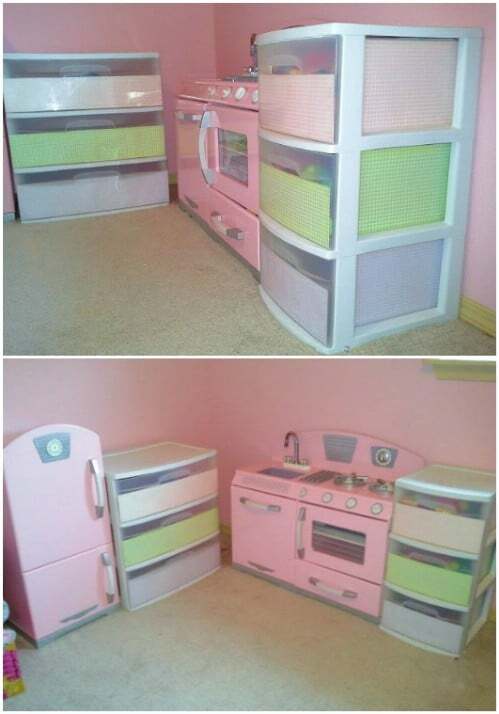 The bright colors complement the fluorescent pink color of the drawers. It doesn’t get more fun than that! 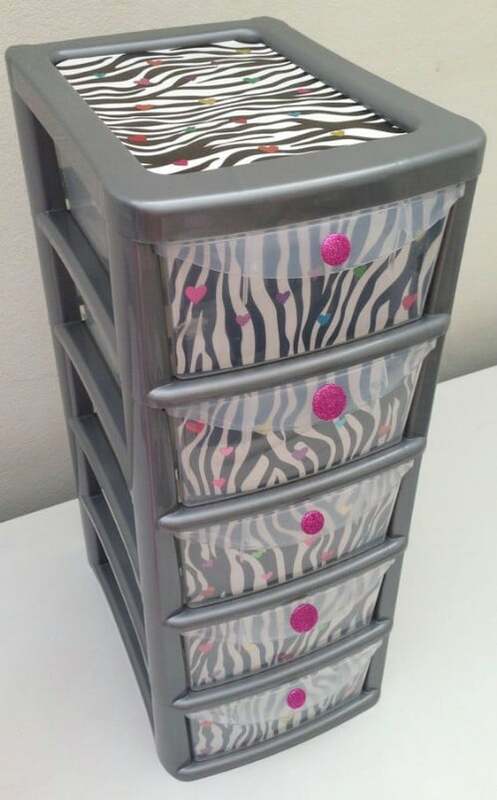 These plastic drawers have been decorated using contact paper. While the idea itself is the same simple one that I have shared already, the patterns on the contact paper used are particularly pleasing in their minimalism. 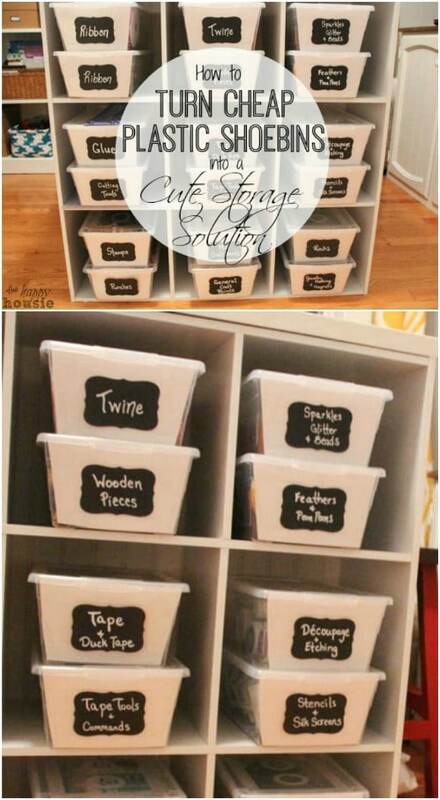 I believe these are filing cabinets, but this is again an idea that could work great with plastic containers in a classroom or a child’s room. The bins can be decorated to resemble cute monsters. 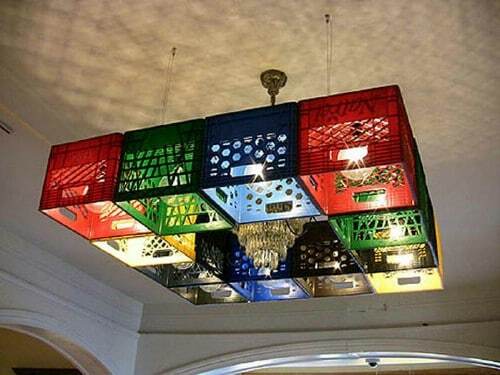 How many people would see a bunch of plastic bins in different colors with patterns cut in the sides, and think to flip them upside down and use them to hold light fixtures? But this modern décor idea would look amazing in any contemporary home! Nothing fancy here, but sometimes simple is good! This awesome look was achieved with duct tape and creativity. Earlier I shared an idea for creating a woven “basket” look using fabric in a slotted plastic bin. Here is an idea which is similar, yet different. There are small holes in this plastic container, and ribbons have been routed through them to create a different look. The finishing touch is the row of cute ribbons along the corner! Don’t have a bin with holes? You can always cut holes into an existing container. Finally, as a bonus, here is a great video which talks about whether it makes more sense to use tape or mod podge when embellishing plastic containers. You’ll discover there are some advantages and drawbacks to each, and what you should go with ultimately depends on your level of skill and the durability you are aiming for with your upgraded plastic containers. Conclusion: There Are So Many Ways to Transform Your Plastic Drawers and Bins! If you have been avoiding plastic drawers and bins because of their utilitarian appearance, hopefully now you are looking at them in a whole new way. Plastic bins may not be exciting to look at when you buy them, and they may clash with your décor—but they don’t have to! 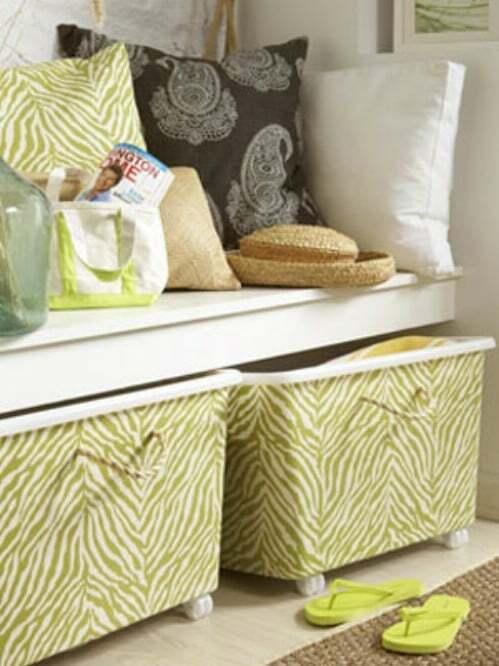 After you jazz them up using some of the ideas and techniques shared in this list, your plastic bins will fit your style and express your personality.